Baseball Caps There is 1 product. Ideally suited to everyday wear, this stylish and practical baseball cap is perfect for hitting a round on the course, or just keeping the sun (or rain) out your eyes! 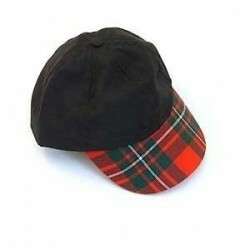 With a one size fits all Velcro strap across the back, and a tartan skip - this cap will become a day to day essential.